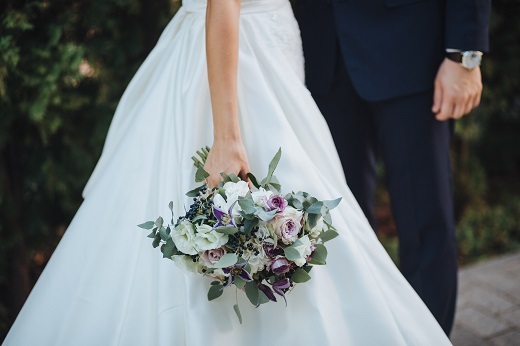 Although weddings can be stressful, there are many considerations you should be searching for from your potential venues to ensure your special day goes as smoothly as possible. While Murphy’s Law seems to show up at the worst possible time, leading anything that can go wrong to go wrong, there are certain amenities that can alleviate common stressors on your wedding day. Consider these factors when looking at wedding venues in Tulsa to enhance, and destress, your special day! Whether you are planning a large wedding or just want to have a small gathering with family and friends, it is important to find a venue that meets or exceeds your space requirements. Our South Tulsa event center spans over 3,500 feet that can be utilized in the way that best benefits your event. This allows more than enough space for a large wedding and can be reconfigured after the ceremony to hold your reception in the same building. Have you ever been to a wedding only to not be able to hear the wedding officiant or the bride and groom? To help combat this program and ensure every has lasting memories of your wedding, STOKELY provides an easy to use sound system with an included microphone. Even better, the plug and play system allows you to kick the party off with your own music when the reception begins! Many wedding venues in Tulsa may require the wedding party to utilize approved vendors for their wedding reception food. For many couples, this can put a damper on their plans on what to feed family, friends and other guests. At our South Tulsa event center, you have full control of your menu and can give your guests the exact foods you want. When your wedding is over, the last thing you likely want to do as a couple is clean up after the reception. To help you enjoy your special day and remove the stress that can follow, STOKELY provides clean-up services. Let us take care of it while you make new memories. If you are currently at wedding venues in Tulsa for your event, Stokely Event Center can make sure your special day is unforgettable. Guests will love the free-to-play games and a wide assortment of decorative signs. With the flexibility of catering in outside food and drinks, event menus can fit a variety of preferences. Our sound system, projector and screen are included for one great price to meet your audio/visual needs.